How The Well would look at 7' tall compared to it's current height of 18"
This project was commissioned by World Vision to design their Water Warrior Award to be presented to their major donors. Gil's idea was chosen as a result of an international competition set up by World Vision. There will be a total of 20 of these awards created and presented. World Vision is drilling wells all over the world to provide clean water. In Africa alone, there are 1,600 children who die every day of polluted water. World Vision chose my work because I tried with the sculpture of The Well to evoke health, well being, a sense of relief and belonging to the earth that clean water provides. In the title, "The Well" is a metaphor about youth nourishing our future on this earth. Clean water is an essential element to this future. Furthermore, facial expression is a universal language that all people can understand. 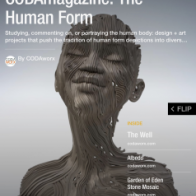 Gil Bruvel's The Well is featured in and on the cover of this month's CODAmagazine. We proudly announce that Gil Bruvel has been selected by World Vision to be the creator of their Water Warrior Award to be presented to their delegated major donors. 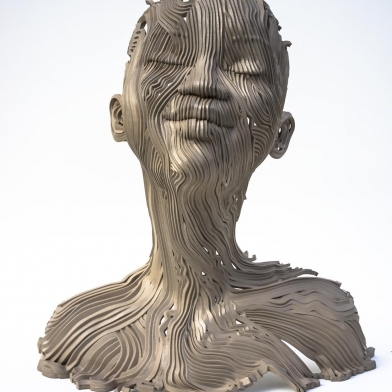 His design was chosen from many other artist entries as the best expression of World Vision’s altruistic efforts.